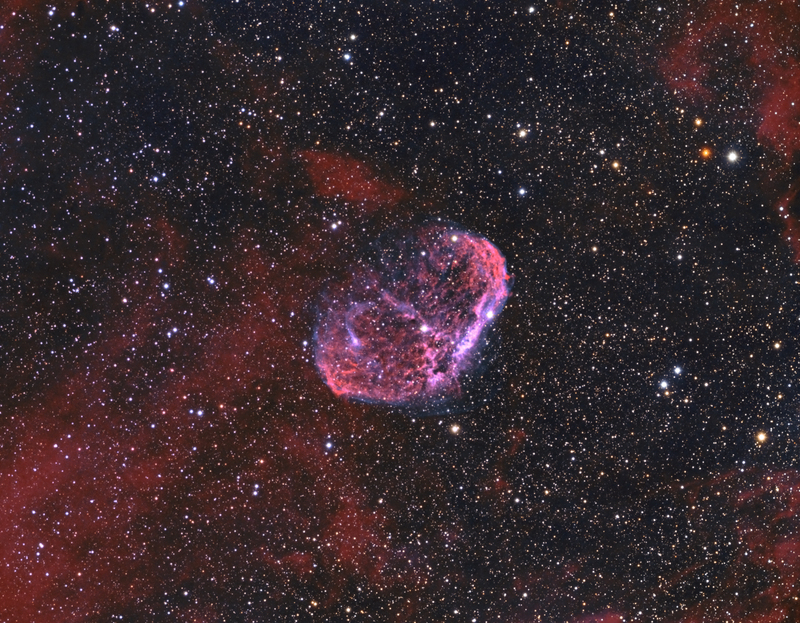 NGC 6888, or the Crescent Nebula, is an emission nebula in the constellation Cygnus, about 5000 light-years away. It was discovered by Friedrich Wilhelm Herschel in 1792. It is formed by the fast stellar wind from the Wolf-Rayet star WR 136 (HD 192163) colliding with and energizing the slower moving wind ejected by the star when it became a red giant around 250,000 to 400,000 years ago.